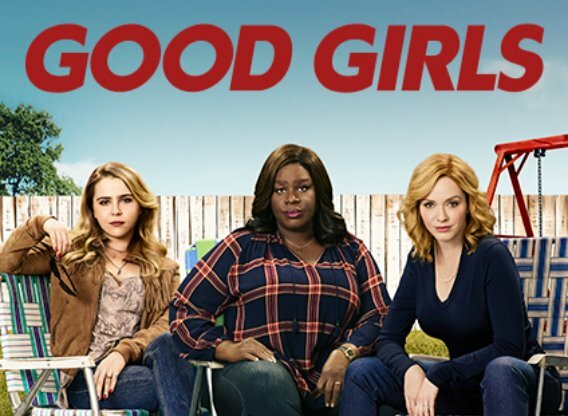 Good Girls is an American crime comedy-drama television series created by Jenna Bans that premiered on NBC on February 26, 2018. The series follows three suburban Detroit mothers, two of whom are sisters, who are having a hard time trying to make ends meet. They are tired of having everything taken away from them so they decide to rob a supermarket, only to discover that they’re in for more than they bargained. The only actor I know of was Christina Hendricks who was on Man Men and voted sexiest woman in the world in 2010 by Esquire magazine. The show was recommended by the Radio NZ film reviewer, so I gave it a go. This probably would not have been made if not for Breaking Bad. It’s similar in that characters are on the wrong side of the law, and some change sides. Also, there are no real “evil” characters to act as plot devices and set the plot. The best thing about the show is it’s pacing and plot turns. Almost every episode ends with a mini cliff-hanger and anticipation for more. Everyone is is good, although at times the secondary characters outshone the leads. Then just when I had completed the 10 episode series it was announced that series two would broadcast in a months time.